Home Staging - The Good, The Bad, and The Ugly. As a professional Home Stager I have seen all types of Home Staging done by well meaning Realtors or ambitious Do-it-yourselfers. They all fall short (or in many cases way, way, way, short) of the mark. I've seen the Good, the Bad, and the Ugly in Home Staging whenever I visit an open house. The one thing that always strikes me however, is just how easy it is to spot a Home Staging job that is not professionally done. Who should Stage this home? Television, from the major networks to HGTV, and DIY has done a lot to increase awareness of what a home "should look like", and the desire for "move in ready" properties has increased as well. People expect to see expertly Staged Homes. Most folks won't try to build a massive addition on their home after watching a few episodes of 'This Old House' because they realize this is outside their expertise, yet the same people are willing to gamble on what is probably their largest investment (their home) that they can do as good a job as a Professional Home Stager. Besides it is so very difficult to be objective about your own home. You would never ask a Home Stager to list a home, unless they were also a professional Realtor... so why do so many home-owners allow a Realtor to Stage their homes instead of a Professional Home Stager? Too often the first step taken when a house has gone without offers is The Price Reduction. Bringing in a Professional Home Stager will almost ALWAYS costs much less than the first (not to mention the subsequent) Price Reductions. Here are some of the best and worst of the Do It Yourself Home Staging that I see regularly. Do de-clutter. Your planning on moving if your selling, right? So lets get packing! Get out whatever is cluttering up your space. Don't set the table! Unless everyone stopping by the open house is invited to stay for a sit down meal the table settings are CLUTTER. Clean the Fridge! Yes the inside should be free of mystery leftovers and science experiments...but get all the stuff off the front. Pack up the homework and artwork, the snapshots, the old Dear Abby column, the grocery list, the Honey-do list, and the assortment of magnets. Put a lid on it. Don't leave the toilet seats up. It really looks bad. Do dress the beds. A nice matching Duvet and sham set really pulls a room together. Don't have one or yours is really dated? Buy a new one, it will look great in your new home too! Don't over do it. Don't leave a tea tray set on the edge of the bed, or sprinkle the bed with rose petals. Really, don't. It looks phony and won't sell your home. Do open the windows. 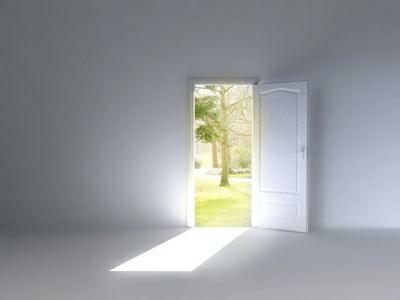 Get in some fresh air, let in some light! Don't leave the TV on. It's distracting. The most important thing to remember is a home that isn't Professionally Staged isn't properly Staged. House hunting is a bit like "speed dating." You may have heard of this dating craze, whereby singles meet 20 or more potential mates in one evening by having five-minute dates with each of them. The idea behind the phenomenon is that two people either have chemistry or they don't. Many of us look for a mate with a logical list of our personal criteria. But when the chemistry and emotional connection are right, who remembers logic? We follow our hearts. If you've ever been house hunting, you can see the similarities. Your agent will take you to six or more houses in a single afternoon. Within minutes, you'll reject most of them, choosing possibly one or two properties to return to for a second look. Expensive furnishings don't necessarily help sell your home. But an organized and calm interior can put buyers at ease and help them imagine their own furnishings in the space. The furnishings should also suit the target market of the home. If you're selling a high-end home, it shouldn't look like students are tenants in all your rooms. Rent more appropriate furniture if necessary to project the right image. Clients often have the right “stuff,” but there's just too much of it, and many items can be better used in different rooms. A home stager’s role is to bring an objective eye to the project and look at every room in a new way. Clients are often surprised by how much better their homes work for them after staging. Some clients even decide not to move once their houses have been staged! Despite what some people claim, you need to be aware that there are no official credentials to become a home stager. This is a completely unregulated field. When you hire a home stager, you trust this person with the "merchandising" of your single biggest financial asset, and how well they decorate your home to sell can mean tens of thousands of dollars in your pocket. Ask your real estate agent or your other contacts who have worked with professional home stagers to recommend someone. And be sure to ask lots of questions about any portfolio photos the stager shows you. Unfortunately, it has become all too common for training programs to provide before and after photos to their students. This enables stagers to pass off a ready-made portfolio as their own work. Be sure you are hiring someone with the experience needed to do the best job staging your home quickly and effectively. Internationally recognized home staging expert Debra Gould is president of Six Elements and creator of the Staging Diva Home Staging Business Training Program with over 4,000 students worldwide. Gould offers a Directory of Home Stagers to help homeowners and real estate agents locate home stagers to decorate homes to sell quickly and for top dollar. Written by internationally recognized home staging expert Debra Gould, The Staging Diva®, www.stagingdiva.com. © 2008–2009, Six Elements Inc. Used with permission. Home staging expert Debra Gould receives countless email messages from real estate agents asking whether they should recommend that their clients hire a home stager. 1. They do not fully understand what a stager really does. 2. They feel that they provide adequate advice to their clients regarding improvements needed for the home to sell. 3. They are afraid that by recommending a home stager they will be expected to pay for the services. A professional home stager will look at your client's home through the eyes of a highly critical buyer and make recommendations that will create the best first impression for potential buyers. A stager’s services allow a home to stand out from the crowd, and that benefits both the seller and real estate agent. It is a clear win-win situation. If your listings show well, it reflects well on your professionalism and helps your clients sell more quickly and for a higher dollar. Keep in mind that it is your name on the sign that is on the front lawn, and people driving by notice whether your listings say "SOLD" or whether they sit for a long period of time. It's your reputation on the line. Wouldn't it be nice to be known in your market for always having listings that show well? Other agents will more likely show your listings over others, and clients looking for a listing agent will seek to be listed with you. Turning your listings more quickly results in less hassle and higher profits for you. You know what it's like to be stuck with a weak listing. Your clients call you daily to ask why it hasn't sold, when you'll be running another ad or when your next open house is scheduled. You know the issue isn't how many ads you run, but how badly the house shows. If you have run out of ideas of changes to make, or you simply do not want to discuss other options that you feel might upset your clients, you can have a home stager address issues you may not feel comfortable discussing with your clients. This will relieve the huge drain on your time, energy and pocketbook! Home stagers, or real estate stagers as they’re also called, tackle sensitive topics like odor problems and ugly decor in a diplomatic way. And if the husband and wife can't agree on anything, wouldn't you rather have a stager get in the middle rather than you? After all, you don't want to jeopardize your listing by taking sides. Home stagers broach these subjects and consult with your client, and you get a better listing without having to face an uncomfortable conversation with your client. Home stagers free your time to focus on what you do best. Yes, you might offer de-cluttering or repair suggestions, but do you go into the same level of detail that a stager would? And more importantly, should that be how you're spending your time when your real money is made getting and turning your listings? Stagers can take over the worry of getting a home showing-ready, and can do it on time for your photography and agent open house. Imagine how nice it would be to show up for your open house knowing that all you have to do is open the door and everything else will be perfect! But who pays for it? Some agents pay for a home staging consultation as part of the service they offer homeowners when they accept a new listing. However, homeowners and home stagers should not necessarily expect real estate agents to pick up the tab for a home staging consultation. Just because you recommend home staging does not mean you have to pay for it, in the same way that you wouldn't be expected to pay for a real estate lawyer or home inspector recommended to a client. Homeowners who pay for the initial consultation themselves are more receptive to what the home stager recommends. Homeowners who only bring in a stager because the agent is paying are less likely to act on many of the stager’s recommendations. They’re just “playing along.” For them, it’s free advice, so they don’t necessarily value it. Home staging makes a huge difference in the presentation of a home. And for agents, this translates into homes that sell more quickly and for higher amounts. It's only common sense that more buyers will be attracted to a fabulously presented home and be willing to pay more for it. Internationally recognized home staging expert Debra Gould is president of Six Elements and creator of the Staging Diva Home Staging Business Training Program with over 4,000 students worldwide. Gould offers a Directory of Home Stagers to help homeowners and real estate agents locate home stagers who will decorate homes to sell quickly and for top dollar. 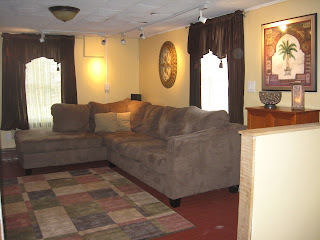 To learn more visit the Staging Diva Directory of Home Stagers at www.stagingdivadirectoryofhomestagers.com. When you decide to hire a home stager to decorate your property to sell faster and for more money, you need to make sure you’re investing in the right person. After all, you’re trusting someone with the sale of your largest asset--your home--so you have to be careful to put that trust in an experienced professional. The last thing you should be focused on is how much the home stager is charging. Saving a few hundred dollars in fees and getting bad advice will cost you thousands if not tens of thousands of dollars. You have a budget in mind, of course, but you stand to make a huge profit from effective home staging. That’s why you should consider hiring a home stager as an investment in the sale of your largest asset. For optimal results, invest in the highest quality stager you can find. There are ripples being made in the industry in light of a training company that guarantees its students they will make $31.45 per hour as home stagers. You should know that this is not what the homeowner or agent actually pays; it's what this particular company is willing to pay people who take their course. They actually charge their clients far more. Professional home stagers expect to earn anywhere from $250 to $500 for the initial consultation. Beware of anyone willing to work for significantly less for doing work that you stand to make anywhere from $10,000 to $70,000 in profit from. Rates will vary depending on your geographic location and the stager’s experience, but you shouldn’t hire someone just because he or she charges a ridiculously low rate. As with most things in life, you get what you pay for. Another common mistake is to look for "credentials," since none exist in the home staging field. There is no governing body or official organization ruling over the home staging industry. There are no official home staging accreditations or certifications in this completely unlicensed field. The letters you see after some home stagers’ names simply come from a particular home staging training company that pushes them as part of their marketing strategy. Instead of relying on unofficial credentials, look at testimonials from past clients, before and after photos, and real estate knowledge. It is recommended that you work only with home stagers who have a presence on the Web. Because you’re hiring a professional in a visual field, you want to see how they express themselves through their biggest marketing piece: their website. As an alternative to building their own websites, many graduates of the Staging Diva Home Staging Training Program list their businesses in the Staging Diva Directory of Home Stagers at www.stagingdivadirectoryofhomestagers.com. These listings are like mini-websites, allowing potential clients to view online portfolios and learn more about home staging businesses in their area. A professional portfolio full of before and after photos is a must. How else will you know what kind of results you can expect from a real estate stager? Because some companies provide ready-made portfolios to home stagers as part of their training programs, it's important to ask questions about the photos that are presented as a home stager’s own work. If the stager can't provide details about the property or you've seen the same shots on another stager's website from the same "school" or training program, this should raise a red flag. If you can’t find a particular home stager’s website or any online proof of their existence, you have to question how serious they are about their business. Alternatively, if they have a very unprofessional website, you have to wonder whether they’ll be capable of staging your home the way you expect from a professional. Read through the testimonials you’ll find on most home stagers’ websites. If there are none available (or they only provide initials and not full names), contact the stager and ask if they have any references. You shouldn’t hire someone to stage your property without hearing about others’ experiences with them. Every stager has to start somewhere. If they haven't staged a client's home yet, they should at least be able to tell you about the many homes of their own that they've bought, staged and sold, and be able to provide the names of real estate agents they've worked with when selling these homes. The idea is to look for practical experience. You're not looking for someone who just knows how to decorate. Make sure the home stager knows the local housing market. A home stager is as much a part of the real estate industry as a real estate agent, and they should have a good grasp of the market they’re in. If a stager doesn’t know how much homes usually sell for and how long they typically sit on the market, you should look for another stager in the area. Because there isn’t an independent organization or association monitoring whether or not a house stager is operating professionally and providing a high-quality service, it’s buyer beware. If you avoid these five common mistakes as you search for the perfect expert home stager for your needs, you should be pleased with the professional you choose. The homeowner felt content that this beautiful new kitchen would sell her home. She just had it redone, replacing the dated 1960's kitchen with intent of getting the most money for her home. However overdecorating, combined with the everyday clutter of family life made it hard for buyers to "fall in love" with this home. Home staging expert Chris Schneider knows that there is a psychology that goes into buying a home. People have to be able to "see themselves" living in this home. 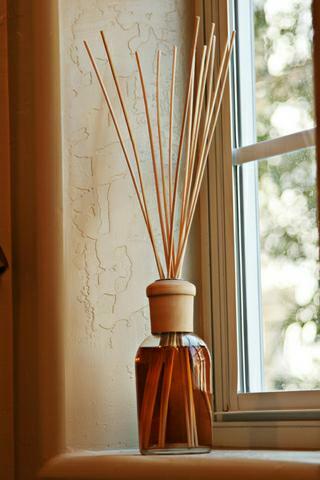 "Home Staging creates the illusion of a lifestyle that potential buyers are looking for. Buyers will decide in a few moments if they are interested in a house, first impressions are so important. It's easy for homeowners to look past all the everyday clutter that is so distracting to buyers, that's where a good stager comes in. With a critical and well trained eye they can easily assess the focal point of a room, remove clutter, downplay flaws, add style, and bring out the best in any home." says Chris. Why Hire a Professional Home Stager? There are lots of simple things homeowners can do on their own to decorate their homes to sell. They can get rid of clutter, repaint, clean or put out fresh flowers. So why hire a home stager? Many homeowners are unsure of what paint colors to choose or where to move the clutter. The process of selling a home can be completely overwhelming. They often lack real estate knowledge about their local markets and how homes in their price range should look. 1. A home stager knows what’s needed to create the right environment quickly and at the lowest cost. 2. A home stager knows what homes in different price ranges look like and what’s selling. They will give homeowners suggestions that their real estate agent may be afraid to offer because the agent does not want to risk losing the listing. 3. A home stager is not emotionally attached to any of the home’s contents, which means that they can see the home in a way that someone who has been living there for years simply cannot. Using their fresh vision, they recommend the optimal way to rearrange existing furniture, art and accessories. 4. A home stager can quickly choose new paint colors, flooring, tiles, countertops or any number of finishes. They have a ready source of painters, cleaners, handymen, off-site storage and a myriad of other services that may be needed on short notice. 5. A home stager can bring in replacement furniture, accessories and art if what is there isn’t appropriate for the home’s target market or the home is empty. Home staging is not just for multimillion dollar homes. Even for modest homes, staging can have a dramatic effect on the selling price and the number of days spent on the market. For example, one of the homes Gould staged had previously been on the market for months with the best offer being $350,000. She spent 90 minutes with the owner rearranging the furniture, putting items in storage and telling him what needed to be cleaned. He sold the house the following week for $361,000! How many other (legal) ways can you think of to invest $600 and get an $11,000 return on your investment the following week? Hidden fireplace sells condo after staging! The open floor plan of this condo was confusing for the homeowner to decorate, and a beautiful, working, wood-burning fireplace was hidden by houseplants and family photos. After staging this formal living room had a purpose, and a focal point! The over-sized television was stored off site, houseplants were pared down, family photos packed away to avoid distraction, and the sofa turned to face the fireplace which now was the first thing buyers see when entering this home. Matching throw pillows were brought in and the bookshelves were merchandised for maximum impact. Color changes and wallpaper removal were recommended to the homeowner, and in a few short weeks they were heading off to their new home in Florida! News and photos from Orange County NY's Premiere Home Staging Expert, Chris Schneider president of Artistic Staging and Design. 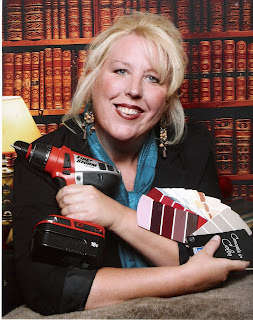 "It was a natural step for me to take home staging from a hobby to a business. In today's real estate market there is an evident need for talented home stagers. Besides who wouldn't want to do what they were passionate about?" says Chris Schneider, graduate of Debra Gould's Staging Diva Program. Chris Schneider, a life-long artist has always been passionate about decorating. From her first dollhouse, to her current undertaking of restoring an early 1800's farm house she has used her instinctive knowledge of color and composition to bring out the best in any home. Chris' talent as an artist was evident from her first finger painting as a toddler. She majored in art through college, and found a pleasant career mastering the art of floral design, before becoming an Entrepreneur, starting her own business in her twenties! Chris had been called upon by family and friends for decades for advise on color and decor. From her first staged home 12 years ago... long before there was such a term (the owner loved what Chris had done so much...she decided not to sell and is still currently living in the home!) 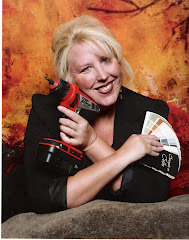 to her happy clients in today's housing market, Chris' flair for color and style, along with her artists eye will bring out the best in any home.